Named for Revolutionary War hero Francis Marion (the "Swamp Fox"), the Francis Marion became an instant Charleston landmark when it opened in 1924. Rising 12 stories above the Historic District, the hotel offers spectacular views of Charleston's church steeples, antebellum mansions, and famous harbor, providing easy access to the wealth of Charleston's historic attractions. An award-winning restoration in 1996 refurbished all of the 234 guestrooms and suites, which now feature plush furnishings and marble baths. Located downtown on Marion Square, the hotel is within walking distance of the magnificent gardens, house museums, antique shops, local boutiques, restaurants, and nightlife that has made Charleston one of the south's premier cities. With such on-site amenities as Spa Adagio, the Swamp Fox Restaurant and Bar, Starbucks, and 18,000 square feet of meeting space, no one will fault you if you end up staying inside the Francis Marion Hotel for the duration of your stay. 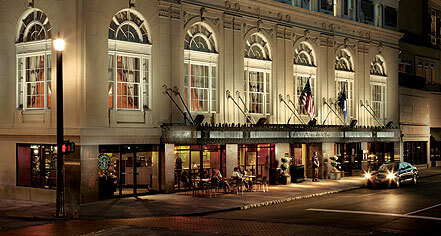 Francis Marion Hotel, a member of Historic Hotels of America since 1999, dates back to 1924. Francis Marion was nicknamed the "Swamp Fox" for his cunning ability to disappear into Charleston's swamps and avoid capture by the British. Cancellation Policy: For transient guests, reservation must be cancelled 72 hours prior to arrival. If cancelled within 72 hours, there is a cancellation fee equal to the first night’s room rate and tax. 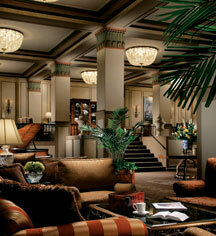 Extra Person Fees: Up to two adults are included in the room rate; each additional adult is $10 per adult, per night. No extra fees for children ages 17 and under. Parking: Self-parking: Available at city-owned garage next door, $17 for 24 hours, payable to the garage. Valet parking: Available at hotel, $22 per day, automatically charged to room bill. Parking is limited for over-sized vehicles and roof top carriers. Resort Fees/Taxes: Reservations are subject to 6% Occupancy and 8% State Tax, and $1.00 optional destination fee. Named for Revolutionary War hero Francis Marion (the "Swamp Fox"), the Francis Marion became an instant Charleston landmark when it opened in 1924. Learn more about the History of Francis Marion Hotel .